In Tips & tricks for self publishers – Part 2 I explained how to self publish an e‑book. If you’re like me, you’ll now want to create a hard copy – a “real” book. While I am certainly a fan of e-books, I am also a lover of old fashioned page turners. And so are many of your potential customers! 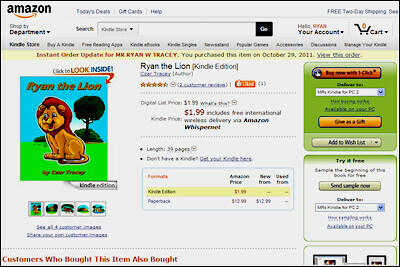 I was considering using CreateSpace to create my paperback version of Ryan the Lion because it’s the sister service of Kindle Direct Publishing (the service I used to create the e-book version). I was also thinking about publishing a selection of my blog musings under the title E‑Learning Provocateur: Volume 1. I was dilly dallying about both when Steven Lewis showed me his newly produced paperback, How to Format Perfect Kindle Books – ironic, eh? I had imagined that books created via CreateSpace would be a bit dinky. In other words, you could just tell that they were home-made. But Steven’s book was nothing like that. It was glossy and colourful and wonderful. I was hooked! I found CreateSpace really easy to use. All the stages in the process are outlined sequentially, with What’s this? links, how-to guidelines and downloadable templates. At one stage you will need to choose the size of your book. 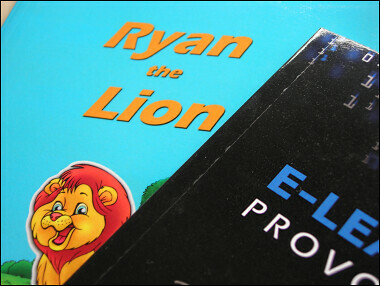 For Ryan the Lion I picked 6″ x 9″ to mimic my copy of Dr Seuss’ Oh, The Places You’ll Go!. For E‑Learning Provocateur I picked 5.5″ x 8.5″ to mimic my copy of Seth Godin’s Tribes. You will also need to make decisions about your interior. 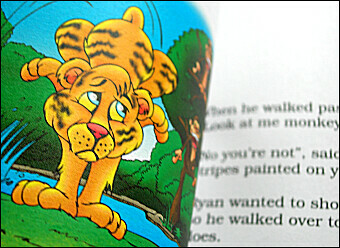 Since Ryan the Lion is an illustrated children’s story, I chose full colour on white paper and a 12-point Bookman Old Style typeface. Since E-Learning Provocateur is a text-heavy business book, I chose black & white on cream paper and a 12.5-point Garamond typeface. I highly recommend using one of the Word templates that CreateSpace provides for the interior (but check the sizes of the pages are actually what they should be). You will want to make sure that any illustrations you have are hi-res: at least 300 dpi, but higher if possible. I had problems with PNG files (they outputted fuzzy) so you might consider TIF or JPG instead. When converting to PDF – which CreateSpace requires – check the page size again in the printer settings. I used BullZip’s free PDF Printer; if you do too, I recommend picking “Flate” for your image compression and “Prepress” for the output quality. When the PDF is produced, check yet again the size of the pages. It’s important to appreciate that PDF is a WYSIWYG technology: What You See Is What You Get. So check the page breaks, page numbering, illustrations, blank pages, everything. What You See Is What You Get. For the cover, Steven Lewis recommends engaging a professional designer. That’s a good idea, but because I’m familiar with graphic design, I created my own cover with Corel’s astonishingly cheap PaintShop Pro. 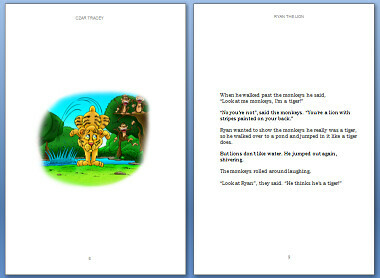 CreateSpace has pre-designed templates, but I think they’re a bit naff. Before submitting your work, always use CreateSpace’s preview facility to check again that all is well. You’re probably over it by now, but this last step is well worth it. You’ll be amazed at what you have missed. Similarly, always order a proof to check the actual product in real life. 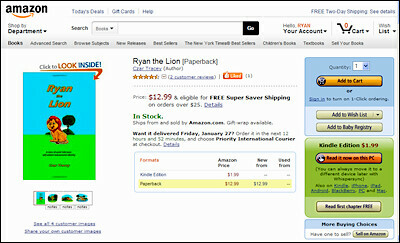 Ryan the Lion costed me a bit more to produce because it’s full colour, but it was still crazy cheap. If you don’t believe me, read Lifehacker’s piece about a local competitor’s self-publishing service. And you can get your proof shipped to the other side of the world in less than a week. So like KDP, CreateSpace is effectively free apart from proofing and shipping (and perhaps designing a cover). Again, Amazon sells your book and provides you with a slice of the pie. Because it’s a physical product, the book is printed on demand. In Tips & tricks for self publishers – Part 1 I shared with you my insights into old school publishers and literary agents. Assuming you have received your rejections – or more likely, no replies at all – you will now be ready to stick it up their proverbials and self publish. If you can use Microsoft Word, you can publish an e-book. • I retain control over my work (to update it, set its pricing etc). Oh, and it’s effectively free. Basically, Amazon sells your e-book and provides you with a slice of the pie. A caveat that you should be aware of sooner rather than later is that KDP is Amazon-only. That means your book won’t be stocked in Barnes & Noble, the iBookstore, or anywhere else. 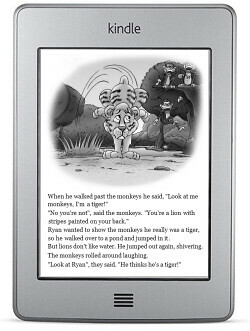 It also means your e-book will be in Kindle format (not ePub). To remedy this situation, I concurrently published my e-book through Smashwords. I originally chose Smashwords because of their distribution deal with Apple, but I have since found them to be a pleasure to work with. 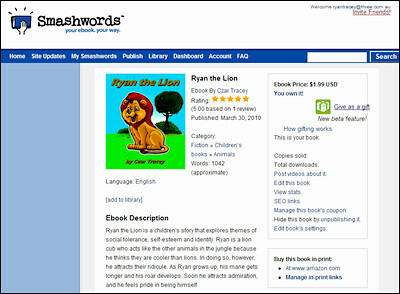 Smashwords can publish your e-book in multiple formats: HTML, PDF, Kindle, ePub, LRF and PDB. More importantly, however, they can ship your book to multiple retailers: Barnes & Noble, iBookstore, Sony Reader Store, Diesel, Kobo, and of course, Amazon. I opted out of the latter because I had already created my e-book through KDP. I still prefer KDP for Amazon because they accept HTML as the content file, which gives me more control over the structure of the final product. If you aren’t familiar with HTML, you may prefer to forgo KDP for Smashwords. A touch dramatic, isn’t it? Now that I have your attention, please bear with me. 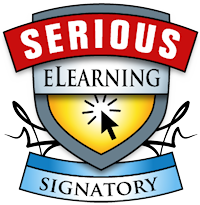 The proliferation of so-called rapid authoring tools over the last few years has coincided with an explosion in the number of online courses developed in-house. In the bad old days, technically challenged L&D professionals had to pay exorbitant fees to development houses to produce simple modules. These days, however, everyone seems to be creating their own online courses and distributing them via an LMS. In tandem with this trend, though, has been the increasingly familiar cry of “It’s not interactive!”. Critics rail against boring page turners – and rightly so. But you know what? 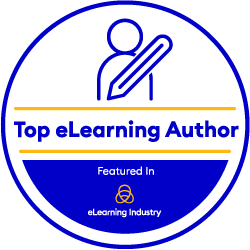 Even when L&D professionals consciously integrate interactivity into their online courseware, I usually don’t think it’s all that engaging anyway. Increasing the number of clicks required to view the content does not make it more interactive. It just makes it annoying, especially for time-poor employees in the corporate sector. Yes, I know you can embed real interactivity into courseware via games, branched simulations, virtual worlds etc, but hardly anyone does that. It requires time – which you don’t have because you’re too busy building the online course – or dollars – which defeats the purpose of developing it in-house! Frankly, there’s nothing most online courses do that a PDF can’t. Think about it: PDFs display structured text and pretty pictures. Just like a typical online course, without the fancy software or specialist skills. Write up a Word doc and convert it? Easy. Update the Word doc and re-convert it? Easy. Now that’s what I call rapid. If we dispense with online courses in favour of PDFs, how can we incorporate interactivity into the learning experience? Enter the Informal Learning Environment (ILE). Occupying a place on the continuum somewhere between a VLE and a PLE, an ILE is an informal learning environment that a facilitator manages on behalf of a group of learners. Essentially, an ILE is a space (like a website or intranet site) that centralises relevant learning resources in a particular domain. The site may host some of those resources and point to others that exist elsewhere. So your PDFs can go in there, but so too can your audio clips, videos, puzzles, games, quizzes and simulations. Don’t forget podcasts, RSS feeds, slideshows, infographics, animations, articles and real-life case studies. 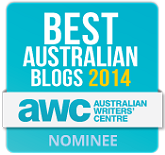 Not to mention blogs, wikis, discussion forums and social bookmarks. Unlike a VLE, an ILE is strictly informal. The learners can explore its resources at their own pace and at their own discretion. No forced navigation, no completion status. In this sense, the pedagogy is constructivist. Unlike a PLE, an ILE is communal. It exists to support a community of practice, whose members can (or more accurately, should) incorporate it into their own respective PLEs. In this sense, the pedagogy is connectivist. But that’s not to say that the pedagogy of an ILE can’t be instructivist either. The facilitator should provide a learning plan for novice learners which defines a sequence of study, identifying specific resources among the potentially overwhelming array of options. An ILE is a scalable and flexible learning environment. If we view each resource within that environment as a learning object, we can appreciate how easy it is to add new content, update old content, and remove obsolete content. It’s incredibly inefficient to use up the precious time of an L&D professional to build, publish, test and upload an online course, only to edit, re-publish, re-test and re-upload it later, just because a few words need to be changed and a graph replaced. Instead, the SME can create and update the object via Word. If you are keen on creating interactive tutorials, games or virtual worlds, now you can go for it! You have more time, and new tools are coming out that are making these kinds of thing easier to do. The finished product can be added to the ILE as another learning object. Again, if it needs to be updated later, there’s no need to edit, re-publish, re-test and re-upload a whole course – just that object. If you commission an external developer to build a smokin’ hot immersive scenario, guess what: you add it to the ILE as another learning object. When it needs to be updated, you pay the developer to work on that object and that object only. In this age of iPhones and Flip cameras, why not encourage your learners to generate their own content too? It’s another rich source of objects to add to the mix. All these examples illustrate my central premise: when content is managed in the form of independent learning objects, it remains open and flexible, which means you can keep it current, relevant and organic. Under the ILE model, the role of the L&D professional finally evolves. The SME is empowered to produce content, which frees you up to apply your own expertise: instructional design. This may involve a greater focus on engagement and interactivity. The responsibility of learning is assigned back to the learners, which frees you up to guide, scaffold, encourage, discuss, prompt, probe, challenge and clarify. In other words, facilitate learning. Your value in the organisation goes through the roof! I claimed earlier that there’s nothing most online courses do that a PDF can’t. I glaringly omitted assessment. Please note I left it out on purpose. There are just some things that the company must know that you know. You get no argument from me on that. However, how we assess that knowledge is bizarrely old fashioned. While it’s convenient to wrap up some content and a quiz into a single package, I just don’t see the point from an instructional design perspective. Forcing someone to register into a course, just to pass a dinky quiz at the end, doesn’t make a lot of sense to me. 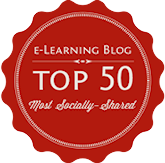 It is widely acknowledged that the vast majority of learning in the workplace is informal. From exploring an ILE to chatting around the water cooler, there is a myriad of ways that people learn stuff. Assessment should represent the sum of that learning. This is where the LMS comes in. In my view it should manage assessment, not content. More specifically, it should deliver, track and record standalone tests that are linked to particular competencies. When the LMS is used in this way, the L&D model aligns more closely with the learning process. The employees learn informally all over the place, using an ILE as their central support resource, then (if necessary) they record their competence. The focus of measurement shifts from activity to outcome. You can jump straight to the assessment in most online courses anyway. If someone bluffs their way through the assessment and passes, clearly it wasn’t robust enough. That’s your fault. Conversely, if someone passes the assessment because they already have the knowledge, what’s the problem? You are recording competence, not making people’s lives difficult. Of course, this kind of nervousness isn’t confined to the corporate sector nor to e-learning. For example, many universities have a minimum 80% attendance policy for face-to-face lectures. I don’t see the point of turning up just to fall asleep with my eyes open, but that’s another story! Online courses must die because they are unsustainable in the modern workplace. They aren’t rapid, flexible or scalable, and they usually don’t take full advantage of their medium anyway. 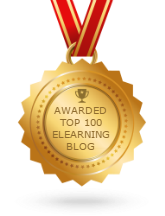 So unlock your content and manage it in the form of individual learning objects in an ILE. Shift the bulk of the content to PDF. In the age of e-readers, no one will notice much difference. By all means invest in authoring tools, but only in ones that will help you create interactive and engaging objects – easily. Use standalone tests to record competence on your LMS. They cover all sources of knowledge.